That was in response to her teasing me about all the changes in my travel plans to Israel. And all bets really are off, because there’s been another change. Instead of leaving with the other Catholic journalists on May 20, I’ll be leaving a day ahead of the group (May 19) and traveling with the Israel Ministry of Tourism agent. We’ll depart from Chicago, layover in Istanbul, and then arrive in Tel Aviv. It’ll be the same on the way back (May 29). I haven’t received my flight confirmations yet and so I don’t know how long the layover will be in Turkey. I won’t be able to leave the airport, but it still will be fun to see the folks there and say that I’ve “been to” Turkey. 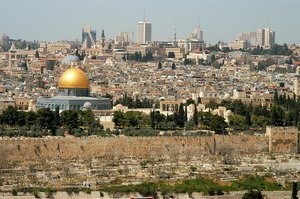 This change means I’ve got just one week to go before my trip to the Holy Land, Our itinerary is still being set, and I’ll give you a little preview once I’ve got it. Our plans would have been set long ago if it weren’t coinciding with Pope Francis’ trip to Israel. His stay there is making it tough to coordinate flights and lodging. Under the circumstances, I can try harder to be patient. If jumbling plans around means I get to attend a press event with the Holy Father and walk the streets our Lord walked, then I’m good. Marge, this is so exciting! What a great experience you will have under your belt as a journalist. You will be in my prayers for safe and secure travels.